Isplchennai is the right choice if you are looking forward for a professional inbound answering and messaging services. Our skilled and efficient team in answering service solution will be available for 24/7 irrespective of the size of the business. Our services include distant reports and telephone overflow emergencies. 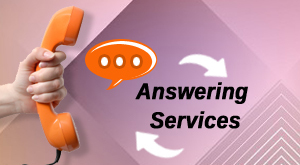 Our pleasing and professional manner of inbound answering services is available for satisfying your needs. We at Isplchennai provide the basic messaging services and we also modify the messaging services to fulfill your needs, dispatch the packages to fit accordingly that works best for your company. We will handle your inbound phone calls at 24/7. We strive very hard by keeping customers in our mind and also to keep up the quality of the service at the peak. Our reliable, polite and well trained operators will do answering, screening, computing and also redirect the calls in accordance with your needs and also stand by as a part of your organization at any time. We deliver cost effective answering services and will make sure that both the customers as well the clients meet their specific requirements. Our quality phone call answering services will benefit the client with a profit. We provide quick and correct answer for the calls. Our unique feature is that the calls made by our skilled professionals will be recorded to monitor our operator's performance and also to ensure the accuracy of the process. Contact us today to outsource the telephone answering service of your business to us. And we serve both you and your clients.